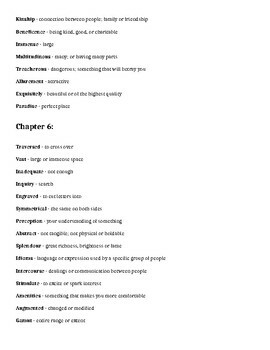 The following is a vocabulary guide for The Story of My Life by Helen Keller (Chapters 3-6). These are the most common chapters to excerpt from Keller's autobiography for classroom lessons and units. 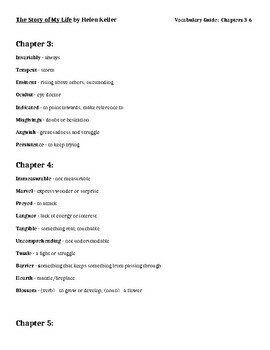 Provide this vocabulary list to support struggling readers and to support the vocabulary growth of all students.